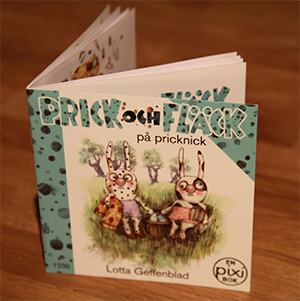 “Prick och Fläck på Pricknick” now as a Pixi book and can be found in large food stores as Konsum & Ica in sweden. The Pixi books is a series of low-price books in a smaller format and a fixed price of 12 SEK. We've been around for a while. Not always going a straight line, but moving mostly forward.